Understand the impact of nutrient over-enrichment on streams, rivers, estuaries and the main trench of the Chesapeake Bay. Define the best current science with respect to nutrient loads in urban stormwater and the effect of various management practices in reducing them. 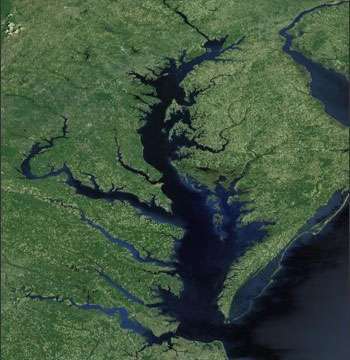 Provide technical methods to craft cost-effective watershed implementation plans to meet nutrient load allocations under the Chesapeake Bay TMDL. Propose interim removal rates for a wide range of urban stormwater practices for which official CBP approved rates have not yet been developed. Present methods for reporting, tracking and verification of local nutrient reductions over time. Assemble all the technical information on urban loads and BMP removal rates into a single document so it can be peer reviewed and accessed by stormwater managers. Provide practical low cost strategies for finding the best combination of urban BMPs to utilize in local watershed implementation plans. Green roofs are among several feasible LID practices for high intensity redevelopment sites.